I think of a human body as electrical because of its dependence upon the flow of electric currents to function. The human brain has long since been known to be the center of control of the organism, the part within which electrical impulses are generated, from which they emanate en route to the rest of the body and back. In this process, the brain controls muscles, cells and, when electrical impulses of a curtailed variant are pulsed, thought is generated. It is also possible that, in the same manner consciousness itself is generated, ie., by circulation of curtailed variants of electrical impulses used to control muscles between the brain cells, there is also elsewhere in the body inter cellular and inter organ electrical impulse generation as well as communication. It would follow from all this that the state of the body is dependent on how well these currents are flowing between the various parts. From the moment we awaken, our brain takes charge of the entire body and, like a pilot on a plane at the helm of a fly-by-wire system, it sends out electrical impulses to individual muscles, and through coordinated fluxes of currents to cellular parts, controls posture, movement, etc., while curtailed variants of these impulses create thought. As long as the brain is awake, subconsciously as science would have it, every posture we assume is due to its control, and this happens to be the reason we fall into a heap as soon as there is trauma to the brain that stops it, or disrupts the communication channels. We see this phenomenon play out when pugilists are knocked out and, in this age of uncensored YouTube or WikiLeaks video footage, it is clearly seen when people get shot in the head. They just drop on the spot, and if they don't, then their brains have retained control because some or all of the internal electric flow is evidently still there. Human physical activity is complex, there are so many more things we can do physically compared to other creatures. We have the various facial expressions we use to communicate with other human beings ... all controlled by our brains. Other creatures may show expressions, but there is nary one species out there with as complex an array of expressions as the human animal. Animals in the wild may communicate using symbols made up of sounds, and can relay quite a bit of info when they are at it, but not a single one is as unlimited in the number of things they can express as humans are in their languages. We have to learn to vocalize all the sound symbols that make this possible. We have to pronounce, move mouth and throat parts in complex ways to cope, and this obviously entails the development of complex electrical channels to the mouth and throat region and also the capacity to coordinate the flow of electricity so that we do this properly. This, and much more, means there is so much more that our brains are kept busy with compared to other creatures, and this is the reason I believe we have the largest brains in relation to body size compared to most other animals. It's in the size of the thing (brain) that we can manage to do all that we do, that makes us what we are, and we can add to the capacities that makes us large brained mammals our ability to increase the coordination of our muscles with practice. If you recall your experience of learning how to pronounce, draw, or write letters, then you would know exactly what I mean. It seemed so simple hearing or watching others already versed at speech, writing or drawing do it, but when it came time to try it out ourselves, well ... It wasn't as easy. That word didn't quite come out as we wanted ... That hand didn't have what it takes to control the line we were drawing now, did it? Soon however, we learnt to pronounce the word correctly. We learnt to control our hand (some cheated, and managed this sooner than others because they realized they could steady the hand by leaning into something) ... and added to that repertoire of capabilities where body control via electrical currents from the brains is key. And you can bet part of the brain grew in size to cope. This is an empirical fact. It has already been observed by way of experimentation that a part of a taxi drivers' brain grows bigger the more destinations in a given locale they know. It should go without saying that external electric currents in the form of invasive microwaves that happen to course through our bodies, interfering with the body's own internal current flow, will wreak havoc on the balance of currents within. If they are perpetual and accumulate, they will precipitate abnormalities in coordination, cause dizziness, and sometimes interfere with thought so that insanity manifests or, in the case of targets of covert warfare constantly getting bombarded with microwaves, they can cause lupus, semblances of disease, personality changes, inability to cope with simple tasks, or overload the electrical system to the point the individual "lights up", as I call it, and the signs of this lighting up are there to see in the facial expression that develops afterwards. The eyes of targeted individuals getting overloaded with currents will be the first to show the symptoms. Whereas previously, before they got permanently lit up, the individual had a relaxed expression, they will suddenly manifest with eyes that show a state of extreme tension, and this will be the case even when they are actually smiling or laughing, when their being is supposed to be showing signs of relaxation in a unified manner, from the top to the very bottom. Eventually, the lighting up will cause accelerated wear and tear, which can result in rapid ageing. Signs of this will be enervation, greying of the skin, wrinkles, and rapid greying of body hair. And this is all logical, if you think about it. The system is being overloaded with electrical impulses. They will accumulate and the individual will end up being lit up electrically, causing them to be tense and stressed more times than they otherwise would be if this was not happening to them. This state of being will eventually drain them of energy. But there are a number of things that a target getting bombarded with microwaves that are causing their electric circuits to get overloaded can do to alleviate the negative effects other than grounding or earthing to drain away the excess electricity by way of barefoot walking or touching grounded metals or just weighty metals like those found at traditional gyms that still stick to traditional metal disk weights on a metal bar. They include all remedies that make the body relax, such as Yoga, medicines that relax the body, etc. These remedies, I have found, also help against those negative electrical energies that aim to control the mind. The main reason for this, I have surmised, is because, in lighting up, perps hope to heighten the intensity of the transmissions the mind of a target makes. This culmination is actually easy to arrive at by logical deduction. The brain has to work that much harder to be able to control parts of the body or be heard, so to speak, over the noise of the interference. 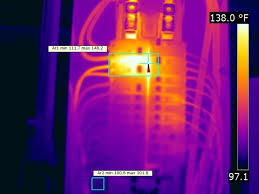 It has to do much more to control parts that are getting affected by this external electrical interference. The brain will also have to increase transmissions of the curtailed variant of impulses that generate thought because this part of the body will also be under fire. This will make the transmissions generated from the currents easier for perps to pick up with their gadgets, even from distances they otherwise would not if the target was not transmitting as intensely. Being able to easily read transmissions means perps are able to respond more accurately to that particular brain. The non-consensual experiment bears more fruit, and you can expect more of those patents being filed online for inventions related to mind reading and control technology. Any exercise that has the effect of relaxing the body is a useful measure against this. Most of all, the target should ensure they regularly get into an area that protects them from directed energy assaults, especially the microwave variant, in moments when they cannot force their relaxation, which includes the time when they are fast asleep.